Simon has been a freelance writer for five years. He obtained his Bachelor of Science in Life Science from Queen's University. High LDL cholesterol levels are linked to the development of atherosclerosis, the underlying cause of coronary heart disease (CHD). Numerous clinical trials have shown that reducing LDL can lower CHD risk (1). 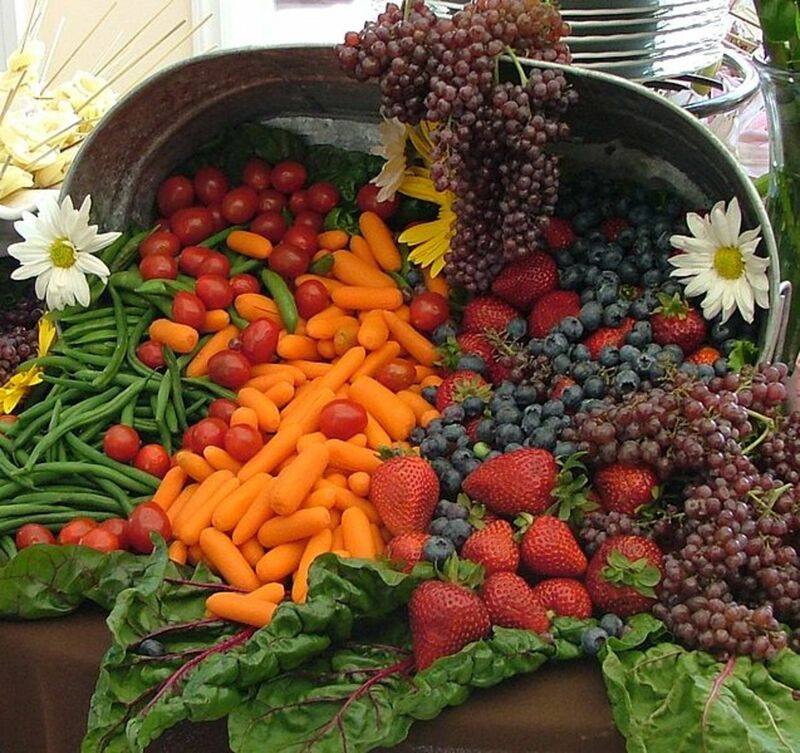 Furthermore, epidemiological and clinical studies indicate that a diet rich in fruits, vegetables, unrefined grains, fish and low-fat dairy products, and low in saturated fats and sodium lowers the risk of CHD and hypertension (2). There are some foods that contain ‘protective’ components, which are thought to reduce heart disease risk, primarily by acting on blood lipids. In this article, some of these foods/food components including soluble fiber, phytosterols, nuts, soy protein, and a few others will be discussed. Observational studies found that diets high in dietary fiber are associated with reduced CHD risk. Dietary fiber is a plant substance that does not get digested in the human small intestine. There are two types of fiber based on their solubility in water: soluble and insoluble fiber. 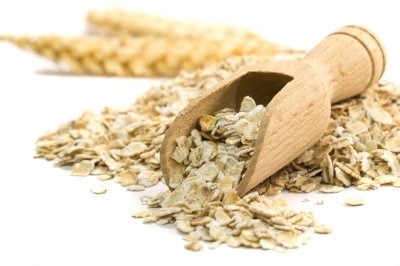 Oats, psyllium, pectin, flaxseed, barley and guar gum are all common sources of soluble fibers. Cellulose, lignins, and wheat bran are insoluble fibers (1). Dietary fibers are a safe and practical way to reduce cholesterol. Only soluble fibers can lower LDL cholesterol, whereas insoluble fibers do not have this effect. 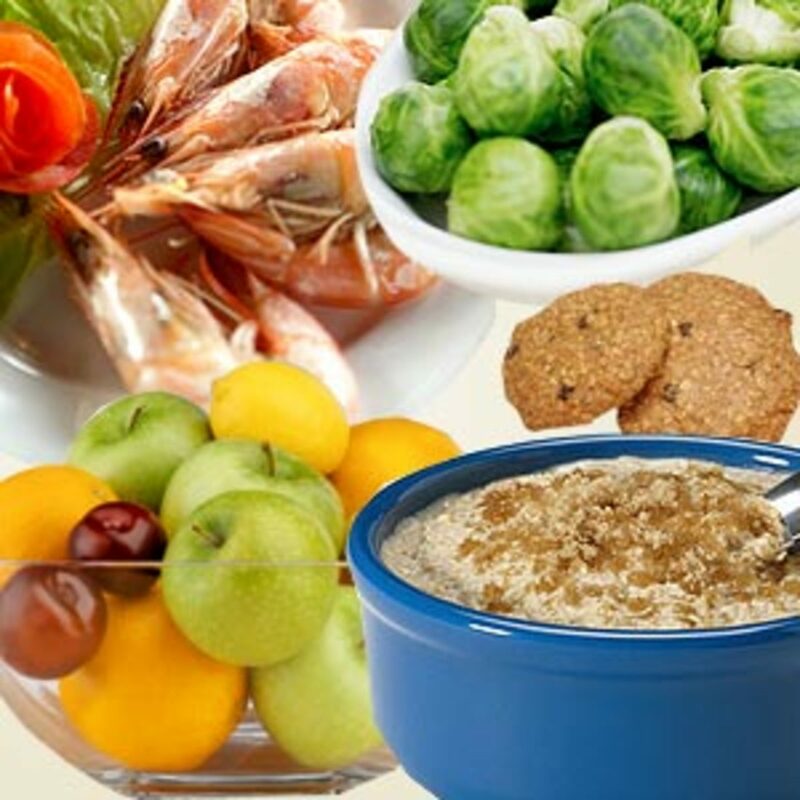 Studies have consistently shown that consumption of soluble fiber can modestly reduce LDL by about 5% to 7%. A meta-analysis of 67 trials demonstrated that intake of soluble fiber, 2-10 g/day, was associated with a small but significant 7% reduction in LDL. All types of fibers including oat, psyllium, pectin, and guar gum, could produce this effect. It is not fully understood how these different types of fibers produce their effects. One important mechanism is the binding of bile acids. This leads to heighten bile acid synthesis (which requires cholesterol), decrease in liver cholesterol content, increase in LDL receptors, and increased LDL clearance. Other potential mechanisms include fiber’s ability to increase the viscosity of the intestinal lumen and slow nutrient absorption, entrap cholesterol in the small intestine, and enhance satiety resulting in lower energy intake (1). All plants make sterol compounds, also called phytosterols, which are chemically related to cholesterol. The main natural source of plant sterols is vegetable oils such as Tall pine-tree and soybean oil. It can also be found in various nuts. 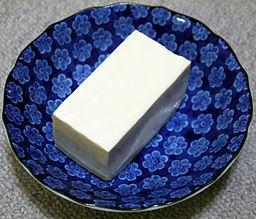 Phytosterols can be hydrogenated to give stanols. Both plant sterols and stanols can likely lower LDL to the same degree. There are now numerous studies demonstrating that plant sterols/stanols can decrease LDL by 6 to 15% taken at dosages of 2 to 3 g/day. A more recent meta-analysis of 84 trials reported that consumption of an average of 2.15 g/day of sterols reduced LDL by 8.8%. Mechanism wise, phytosterols fight with cholesterol for space within bile salt micelles (small aggregates of bile salt, lecithin, cholesterol, that are involved in lipid transport and absorption) in the intestinal lumen, thus reduces cholesterol absorption. Another possible mechanism is that plant sterols likely interact with intestinal cell transporting proteins to direct cholesterol back into the intestinal lumen (1). There can be potential adverse effects of phytosterols in certain patients who are high absorbers, for instance in patients with sitosterolemia. This is a rare autosomal-recessive disorder, characterized by increased intestinal absorption and decreased biliary elimination of all sterols, including plant sterols as well as cholesterol. These patients have mutations in the transporter proteins, ABCG5 or ABCG8, which regulate the export of sterols from liver and intestinal cells. This condition leads to high blood levels of plant sterols and cholesterol, which can contribute to premature atherosclerosis. The role of dietary plant sterols in the development of atherosclerosis is unclear (1). 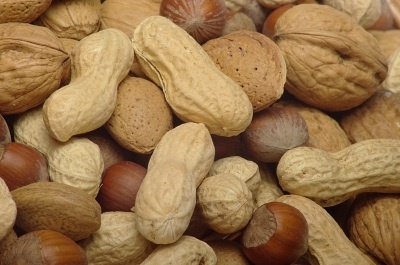 Nuts are often considered unhealthy because of their high fat content. However, studies have shown that increased nut consumption is associated with a lower risk of heart disease. Nuts are rich in mono- and poly-unsaturated fatty acids, and also contain dietary fiber, phytosterols, and polyphenols. All these components likely combine to reduce LDL. A review of 23 clinical studies investigating the effects of nuts on cholesterol levels concluded that consuming roughly 50-100 g of nuts at least five times per week may reduce LDL between 2-19% in normal and individuals with high blood lipids (2). Subjects in the studies consumed nuts (including almond, peanut, pecan nut and walnut) as part of a heart-healthy diet with 35% of energy from total fat content (a moderate fat diet), consisting of mainly monounsaturated and polyunsaturated fats. In a more recent meta-analysis of 13 trials, the authors found that diets consisting of walnuts (30–108 g/d) resulted in a 6.7% greater reduction in LDL compared with the control diet (1). Trials using smaller amounts of walnuts demonstrated more modest lipid improvements. Taken together, there is considerable evidence supporting the LDL lowering effects of nuts. Epidemiological studies from Asian nations showed that large consumption of soy products is associated with a lower incidence of high blood cholesterol and CHD. A meta-analysis of 38 controlled clinical trials in 1995 found that an average intake of 47 g/day of soy protein decreased LDL by 12.9% (1). The cholesterol lowering effect was greatest in subjects with the highest initial level of cholesterol in their blood. A more recent (2008) meta-analysis of randomized controlled trials in adults with normal or moderate high blood cholesterol confirmed that consuming modest amounts of soy protein, 25 g/day, can reduce total cholesterol and LDL. The percent LDL reduction is about 6% (2). The current data indicate that soy proteins can produce a small reduction in LDL. The mechanism by which soy decreases cholesterol is not fully understood. Soy contains phytoestrogens (isoflavones), which have weak estrogenic and antiestrogenic properties. In the past, scientists were not certain which of the soy components, the isoflavones or the soy protein, was responsible for the cholesterol-lowering effect. Recently, a study concluded that isolated isoflavones in capsules do not affect blood cholesterol. Thus, current evidence supports soy protein, rather than isoflavones, as the component responsible for lowering cholesterol. However, there may still be other active chemicals in soy waiting to be discovered. 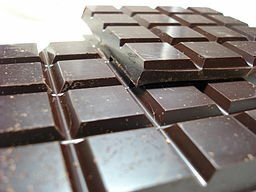 Cocoa, a food rich in flavonoid, may have a role in the prevention of cardiovascular disease (CVD). One study showed that cocoa power at doses from 13 to 26 g/day reduced LDL levels in subjects with a baseline LDL concentration ≥ 3.23 mmol/l (LDL levels that are near ideal) (2). Fenugreek is a herb that may help lower blood sugar levels in diabetics. One randomized controlled clinical trial showed that fenugreek seed reduced total cholesterol and LDL by 13.4% and 15.1%, respectively. Additional trials are needed to establish the safety and cholesterol-lowering efficacy of fenugreek products (2). Cinnamon, a popular spice, can decrease total cholesterol and LDL levels in diabetic individuals. Further trials are needed to confirm cinnamon’s ability to lower blood lipoprotein levels (2). Epidemiological studies suggest that regular tea consumption is associated with reduced risk of CHD. One small clinical trial showed that consuming five servings of black tea daily reduced total cholesterol and LDL by 3.8% and 7.5%, respectively in adults with mildly high cholesterol levels (2). 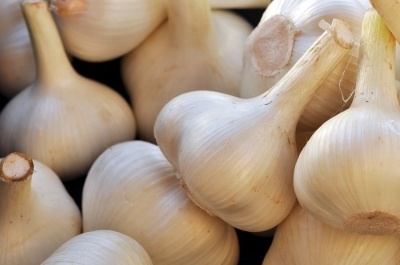 Since ancient times, garlic has been used medicinally to enhance physical and mental health. It is thought to have lipid-lowering properties by decreasing cholesterol absorption in the intestine, and inhibiting enzymes involved in cholesterol synthesis. Two meta-analysis of randomized controlled trials, done in 2000 and 2009, found that garlic can modestly decrease total cholesterol, without a significant effect on LDL levels (2). Table 1. The following table contains different foods that can lower LDL levels (1, 3). *Some research has been done investigating the effects of these specific foods or its components on cholesterol levels. More clinical trials are needed to make a conclusion on the effectiveness of these foods/food components in lowering LDL values. Note: Including dark chocolate, cinnamon, fenugreek, garlic and black tea into the diet may also help to reduce cholesterol levels. In summary, there is current and ample evidence indicating that soluble fiber, plant sterols, soy protein, and nuts definitely have a modest LDL lowering effect. The FDA has allowed a health claim to be attached to these foods, declaring that they can reduce CVD risk through lowering LDL. The other foods, including dark chocolate, fenugreek, cinnamon and black tea, do not have substantial data supporting their ability to lower LDL and need further research. There is a lack of evidence backing up garlic’s ability to reduce LDL, but there is data indicating that it can modestly lower total cholesterol. Although some of these foods have weak evidence supporting their ability to lower LDL, it is still worthwhile to add them into the diet as they may have other health benefits in addition to their unconfirmed lipid-lowering effects. 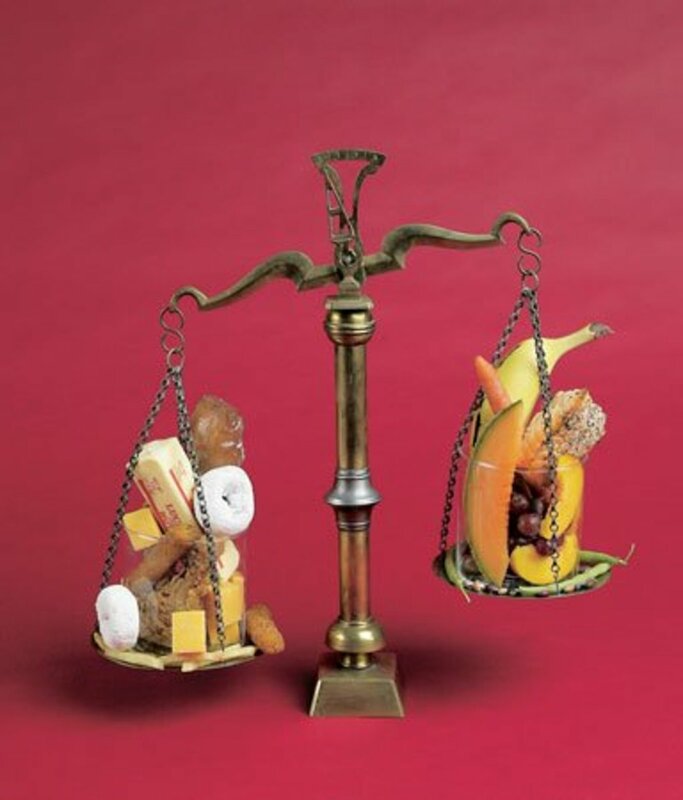 Besides, the majority of these food are safe and do not appear to be unhealthy when consumed at moderate levels. It would not hurt to add them to a heart-healthy diet that is low in saturated and trans fats. Furthermore, a clinical trial showed that subjects on a low saturated fat diet consisting of a combination of plant sterols, viscous fiber, soy protein, and nuts had a mean LDL reduction of 28.6%, which was comparable to subjects on a low saturated fat diet taking lovastatin who had a mean LDL reduction of 30.9% (1). In conclusion, incorporating and combining all of the foods from above can potentially have a major lowering effect on LDL levels, and consequently may help prevent atherosclerosis and CHD. The material presented in this article is only for your information. Before you make any changes to your diet and lifestyle, please consult your physician. Your doctor will be able to give you appropriate advice on what will help you manage your lipid levels. 1. Nijjar PS, Burke FM, Bloesch A, Rader DJ. Role of dietary supplements in lowering low-density lipoprotein cholesterol: A review. Journal of Clinical Lipidology. 2010;4(4):248-58. 2. Sirtori CR, Galli C, Anderson JW, Sirtori E, Arnoldi A. Functional foods for dyslipidaemia and cardiovascular risk prevention. Nutrition Research Reviews. 2009;22(02):244-61. 3. Adding cholesterol-lowering foods to your diet. 2012 [updated May 15, 2012 ]; Available from: http://www.health.harvard.edu/healthbeat/adding-cholesterol-lowering-foods-to-your-diet. How can I reduce my cholesterol without taking medication? In The Great Cholesterol Myth they list inflammation as the main cause and other things that contribute to damage to the arteries or cause inflammation. One of those things is oxidation so the above would come under oxidation. Chuck, Thanks for your comments. Clearly, atherosclerosis is a complicated disease. What I know is that LDL that becomes oxidized can be the initiating event that causes damage to the arterial wall by causing endothelial dysfunction. It's hard for me to ignore the research that shows LDL is a risk factor and that it contributes to atherosclerosis. Also plaque does not build up on a healthy artery wall. It only builds up where there is damage to the artery wall so it protects the artery. So what damages the artery wall is bad for health. Plaque is also made up of calcium so you could say if people consumed no calcium, they would have no plaque. According to total cholesterol (which is called for short-- cholesterol) if a person has 200 total cholesterol and 50 HDL and another person has the same level of LDL and triglycerides, but has 150 HDL than he has very high cholesterol of level of 300. That means he is doing badly compared to the other guy but all the doctors know that that is not the case. It is just like saying that 3 - 2 = 5. Why add HDL to total cholesterol when the higher the TC, the worse it is? Dr Jonny Bowden says that cholesterol concern is like taking lettuce off a hamburger to lose weight. So I can ask you if you take lettuce off a hamburger doesn't it then have less calories? 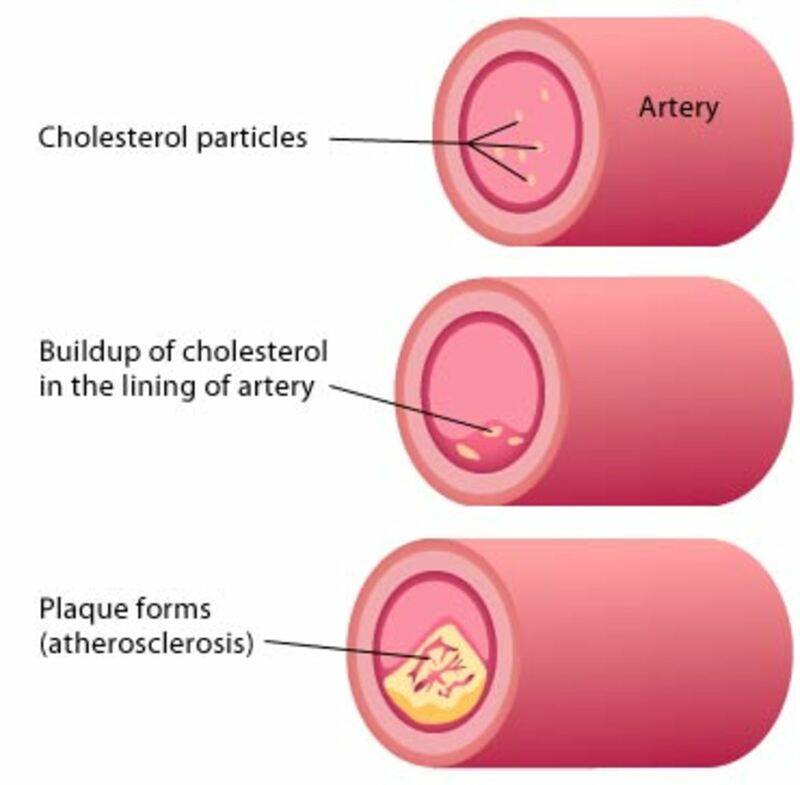 With LDL they now know that there are harmless particles that have no effect on arteries and harmful particles that do hurt the arteries. So your question is like asking does religion help society or does it cause lots of violence in society. It does both! It is like asking do people do terrible things to people or do really good things for people. Thanks for reading my article and for your comment. It's true that your cholesterol levels measured by a blood test only detects cholesterol in your bloodstream and doesn't give any indication of LDL cholesterol that is building up in your arteries as a plaque. Plaques cause heart attacks. What do you think of all the studies that show LDL as the key factor that initiates and promotes the progression of a plaque? Having high LDL will likely encourage the development of these plaques. Would you not want to be on the safe side and help keep it low anyway? I'm not encouraging statin use as I think we should try to keep our LDL low by eating right, exercising and being mentally healthy. Very good article! It is too bad that the authors of the The Great Cholesterol Myth were on the Dr Oz TV show saying that cholesterol is not the thing to be focusing on since people with high cholesterol have the same chance of getting a heart attack or stroke as those with normal cholesterol. They say that the real cause of heart disease is inflammation. But you will find that most of the foods that they say lower the bad cholelsterol are also anti-inflammatory. I saw on amazon. com that they have a half a dozen books with "cholesterol myth" in the title. Of course the cholesterol was a way to sell 31 billion dollars a year in Statin drugs that are not harmless. Thanks for the feedback Simon. I'll give them a try. Thanks for reading this hub, and for your positive comments. Plant sterols are a good way to reduce LDL cholesterol. You can find them in margarine, fruit juice and yogurt. You should try to consume 2 g/day to get the cholesterol-lowering benefits of plant sterols. Thanks for the very informative and well written hub. I was not aware of sterols and their benefits. I may have to give them a try.